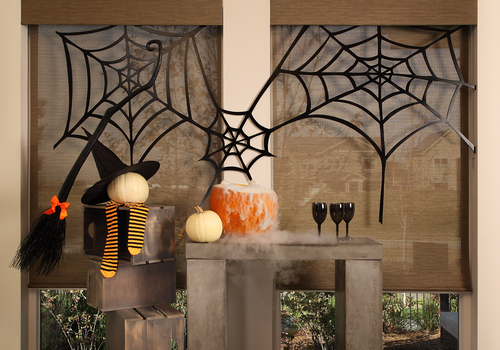 It’s October, which means a few things: bright orange pumpkins, fun costumes, and Halloween candy — and at Southern Shutters Shades and Blinds, it means time for big savings! This fall, we are pleased to be offering 10% to 15% off on shutters and blinds. We can’t wait to help you complete any unexpected project that you have going on in your home! Especially when we can help you save in the process. 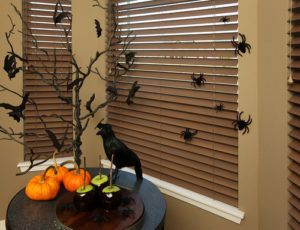 Shades, shutters, and blinds do more than just look nice. They also protect your home and what’s in it by blocking out the elements (like UV rays) and also creating more privacy in your living spaces. And because our shutters come with a limited lifetime transferrable warranty, they aren’t just covered while you’re living in the house — your warranty goes on to the next owners and the next. We also offer lifetime re-stringing for Hunter Douglas shades! That’s a smart investment for your home! In addition to these specials, you are also eligible for some exciting Hunter Douglas rebates during the Season of Style Savings Event through December 11. We are happy to be the local leader for custom-crafted shutters, shades, and blinds in Austin — but it’s no accident! People know they can trust us because we provide a personalized experience by offering a multitude of options, the highest-quality products and the best warranties around. That’s what we’ve been doing since 1993. Are you interested in saving through our window covering specials? Now is a perfect time to make the investment. You can save 10% off shutters, and 15% off shades and blinds! We are happy to offer free in-home consultations — request yours today.